Faith and begorrah! 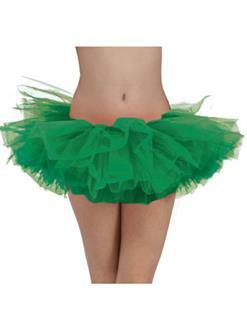 You'll look great in this Adult Green Tutu at your St. Patrick's Day parade, party or other event. Made of layers of green tulle, the tutu will also complement Mardi Gras garb or a rave outfit.